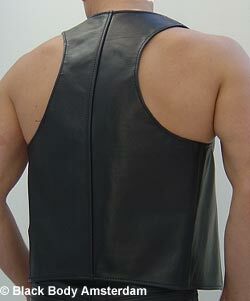 Thick high quality leather barvest. Pocket with zipper on the inside. Click on the picture to view the back and the inside pocket in detail.